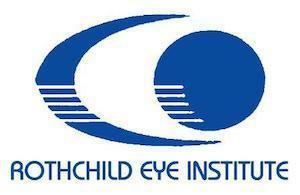 Rothchild Eye Institute always appreciates feedback from our valued patients. To date, we’re thrilled to have collected 16 reviews with an average rating of 4.88 out of 5 stars. Please read what others are saying about Rothchild Eye Institute below, and as always, we would love to collect your feedback. As usual my visit was very pleasant. Dr. Rothchild has been my doctor for over 20 years. It was Lasik first, then yearly exams, cataract surgery and Crystallens and ongoing care. I live in CA now and miss his dedication and the caring of the entire staff. He is the best professionally and personally. Always enjoy seeing the Doctor and his team! Everyone was very friendly. I was taken in at the appointed time. Overall excellent experience. Checked for missing plugs and scheduled replacements. I was treated with compassion and respect. I have recommended your practice to others. Your staff is understanding: Vicki, Mary Ann, Noreen, Levi, and Jennifer. Always pleasant and efficient. Excellent staff. The front desk is exceptional. Dr. Rothchild takes time to explain and shows interest in his patients. The office staff and doctors are very professional and friendly. Dr. Rothchild is always looking out for any problem that may arise. Very helpful in answering the questions I ask. All in all, a great visit.